Travel and tourism is one of the world’s largest industries and has been growing steadily in recent years. Tourism providers need to market their products in a host of different languages. They need a marketing translator they can trust. And that’s where you come in. The travel and tourism sector is one of the largest industries in the world. It was worth over 7.6 trillion US dollars in 2016. Not only that, but it’s also growing. It presents opportunities for translators who understand marketing. As marketing translators, what is our USP that we can offer the customer? What can marketing translators offer the tourism industry? Marketing in the tourism industry is often about getting people excited about visiting places they’ve never been to before. Travel providers use marketing to persuade people to visit different countries. Because they’re looking for visitors from around the world, they need marketing materials in different languages. Are you a marketing translator thinking about working for the #tourism industry? Read this. #xl8 Click To TweetThat’s where marketing translators come in. The range of different travel options is huge. There are beach holidays, cultural trips, foodie tours and more. The tourist industry needs translation and copywriting services that can sell this variety of leisure options to foreign customers. Spain, for instance, has always been a popular holiday destination. But, in recent years, the trend has been towards tourists spending less. Mass tourism has also fallen out of favour. For the Spanish tourism industry, this has led to a drive to attract higher spending visitors. The Spanish tourism industry is no longer limited to beach holidays. There is cultural, ecological, foodie and sporty tourism, and much more besides. City breaks have grown in popularity. Seville was recently voted Lonely Planet’s Best City to Visit in 2018. And the focus was on its heady mix of tradition and modernism. 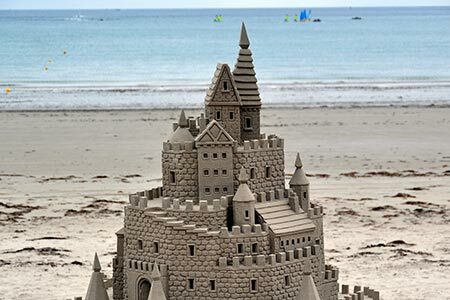 Not a bucket and spade in sight. Marketing translators can use their copywriting skills and marketing experience to make all these different options irresistible. Top-class marketing translators offer more than just translation. They provide a range of services related to language and have huge advantages over free systems like Google Translate. Getting something for free is always tempting, but remind your clients that it’s false economy in the long run. For help coming up with arguments, check out my 10 Reasons Why You Should Use Professional Translation Services and not Google Translate and Why Not Using Professional Translators is False Economy. So, what kinds of services can marketing translators offer? Marketing materials, especially for tourism, can often be informal. They’ll also incorporate humour and visuals. All this can be hard to translate. Even more formal marketing texts often use cultural terms and references, to make an emotional connection with the customer. This is where some marketing translations need a more creative approach. The client may have materials like recipes, articles, competitions, social-media posts and so on. These can throw up different cultural issues that need a translator with an understanding of marketing and a more creative approach. That’s where marketing translators who are also transcreators can be successful. Transcreation can best be described as a combination of translation and copywriting. It’s particularly useful for more creative texts. For more information about transcreation, read Gwen’s blog What Is Transcreation? Is It Different to Marketing Translation?. Many transcreators also offer bilingual copywriting. This can be useful for clients who need copywriting services in different languages. 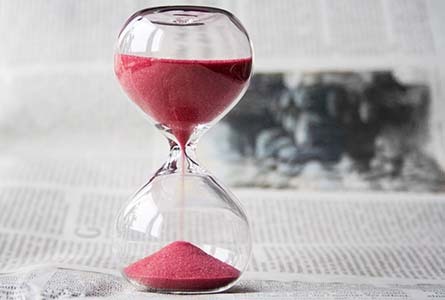 For information about offering transcreation services, read Gwen’s blog What Does a Transcreation Service Look Like For a Freelance Translator? A lot of tourism translation involves websites or materials that need to be SEO optimised. SEO translators can offer texts that are not only well crafted, but that also reach the target audience. This is because a translator who understands SEO helps make sure the client’s website gets found by search engines. 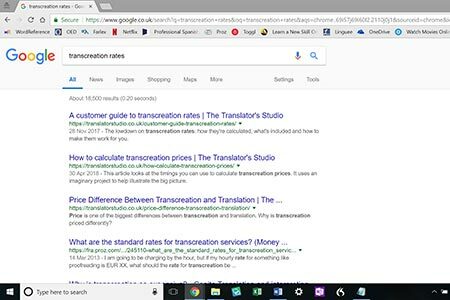 If you’re thinking about offering SEO translation as part of your portfolio, Gwen’s article How to Train to Be an SEO Translator explains why it can be a useful string to your bow. Marketing translators who understand search engine optimisation as well as copywriting are highly sought after. They know the techniques they need to use in the translation to make sure it’s found by the target reader. For more information about SEO translation, check out Gwen’s blog What’s Involved in SEO Website Translation? Marketing translators who understand search engine optimisation as well as copywriting are highly sought after. With the advent of free translation tools such as Google Translate, customers are sometimes tempted to cut costs and use free translation. The travel and tourism industry is no different: it’s a competitive field with tight margins. But as we said before, it’s important the customer understands that it will cost them in the long run. As a professional, accredited translator you can reassure the customer that their marketing translations are in safe hands. What do we mean by an accredited translator? It means a translator with officially recognised qualifications. 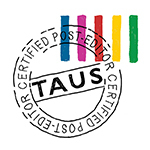 Accredited translators are also usually members of professional associations. Professional accreditation is one way of winning over customers. For more information, read How to Become an Accredited Translator to Get More Work. You can win customers over at the start by offering a professional, transparent service. Show the customer that you ensure confidentiality and give them a clear and detailed quote. For an overview of what a professional translation service looks like from start to finish, check out our Translation Quote Guide for Customers. Marketing translators are well versed in helping to sell. Use your experience in writing and marketing to show travel clients that you can create persuasive translations and transcreations about their products and destinations. Combine those marketing and copywriting abilities with an understanding of SEO and a professional profile to offer a service that travel providers will want to buy . Why will they want to buy? Because you’ll help them make more money than the translation service costs them. Who wouldn’t be interested in making money? If you’re a translator wondering about working with the travel and tourism industry, don’t miss my on-demand webinar on ProZ.com: Making Tourism Translation Profitable. I’ll talk you through the skills you need to be successful and how to increase productivity and profitability. Want to read more content like this? Sign up for our monthly newsletter in the sidebar to the right and we’ll send you updates on our blog posts and recent news. Thanks for this concise explanation of the value marketing translators can bring this sector. Another consideration for into English translation is that many visitors will be reading the English as a second (or third, or fourth) language. This means it’s key to ensure the copy is easy and pleasurable to read. Whenever I’m travelling, I see so many poor translations that are difficult to read because they are a literal translation of the original, especially in countries which speak Latin languages where there are direct translations do exist in English, but may not be the best choice. So copywriting or transcreation skills should not be underestimated! Thanks for reading, Fuchsia! I couldn’t agree more, I think copywriting skills and an understanding of transcreation are really important parts of marketing translation.